I’m not good at naming a singular Game of the Year, personally, partially because I play a lot of different kinds of things and at a certain point I find it tough to really figure out whether Papers, Please or The Last of Us is the better game because they have next to nothing in common, and partially because I’m just wishy-washy. So here’s a rough Top 5, in no particular order, plus runners-up. And don’t forget to check out AJ’s earlier picks and reflections. If I’m honest, 2013 was a disappointing year in gaming. I have some friends who, on an almost annual basis, look at the slate of upcoming releases and say, “There’s just nothing I’m really interested in. I’ll probably stop playing video games soon.” Or something like that. Usually it isn’t that concise. Anyway, I’ve never felt that. This year included, there’s always something on the horizon. But 2013 kept stomping on that anticipation. Whether it was a big release that fell short of my expectations (Bioshock Infinite, Beyond: Two Souls), a game that was everything I’d feared it would be (Star Trek), or a perfectly-competent sequel that just failed to go above and beyond as much as I’d’ve liked (Batman: Arkham Origins), it sometimes felt like 2013 was trying to destroy my faith in good games. And don’t even get me started on movies. Hell, I almost decided to be contrary this year and write a Disappointing Games of the Year article. Choosing games to put on that list would’ve been easier, definitely. But that felt a bit negative. But there were some bright points all the same. Take that, 2013. I didn’t have much expectation for Tomb Raider. From the announcement that they were rebooting the series and taking a different tack with Lara, I could practically smell the Uncharted lingering all over the new formula. And what we got was, yes, clearly heavily inspired by Naughty Dog’s flagship pulp adventures, but to dismiss Tomb Raider as little more than an Uncharted clone would be a disservice. Lara’s world is more open and filled with things to explore, the adventure moves along at a good clip and doesn’t overstay its welcome, and it’s generally just a good, fun third-person actioner. I was prepared to be disappointed with Tomb Raider, because I’m a fan of the platforming and puzzle-heavy games the franchise used to be – and that genre is in much greater need of good AAA titles than the third-person shooter. I still missed that sort of gameplay, but despite that, Tomb Raider was the most AAA fun I had all year, hands down, and quickly I didn’t much care that it was not the Tomb Raider I’d been hoping for. Sure, it’s problematic in its ways, but as an entertainment – as an exciting and action-packed adventure – it’s a great direction for the flagging series. Runner-Up – Remember Me: DONTNOD’s Remember Me is a good game. It isn’t a great game, but it’s good. The world is vibrant and interesting. The combat system, using customizable combos, is cool, though it could be deeper. The sequences where protagonist Nilin remixes memories is a neat, engaging puzzle I’d love to see more of. It’s one of my favorite games of the year, but it’s one that falls short of its full potential. Remember Me is a great first step, and I hope that we can see the ideas in it refined and revisited in future titles, whether part of the same franchise or not. A game so affecting that both Steerpike and I wrote about it separately, The Last of Us is the best sort of experience, I think, that a AAA studio can really be expected to offer while still catering to the whims of the publishers who are footing the bill. I suspect it will show up on many a Game of the Year list, including AJ’s, and it’s hard to argue that. It’s a well-made game, but it’s also powerfully written and emotional. Enough to break through the twin stigmas (and least for gamers like me) of the over-done stealth action genre and the over-over-done zombie genre. And yet, I’ll admit that time and consideration have not served it well in my mind. But here it is, on my list. Those other articles – and tons more littered all over the internet – no doubt say all that needs to be said. Runner-Up – The Walking Dead: Season Two: I would probably just put this on the list for real if there were more than one episode out yet. The mid-year expansion 400 Days was good, but the first episode of Season Two was a true return to form and a tantalizing look at the direction of the next four episodes. With Clementine now in the spotlight, things are very different from how they were when Lee was the player character. No one looks to Clementine to be in charge, after all. I’m excited to see what Telltale will do with her as a heroine rather than the subject of one of those father-daughter relationships that are so in vogue. I should probably just save a GOTY spot for it for next year. In the world of video game narrative, environmental storytelling is king. At least, it ought to be. That’s what games can do that other media can’t. That’s what people love about games like BioShock. 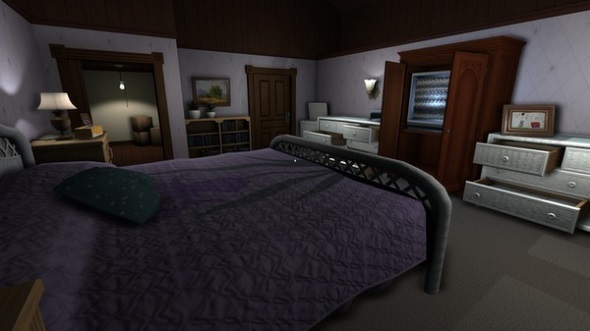 Gone Home is the environment that tells a story without being full of maniacs trying to kill you. Steerpike wrote about it earlier, so you should read that. This is a quiet game, good to get lost in for a few hours just exploring the lives of this family by way of their belongings, and unraveling the story of what’s happened to your younger sister. 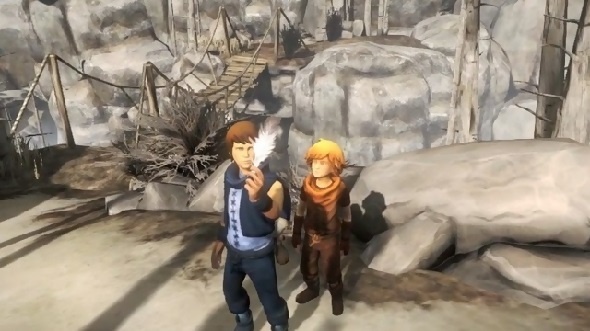 It is at turns heartbreaking and heartwarming, a piece of video game short fiction not at all to be missed. Runner-Up – FORCED: And this is where my runners up cease to clearly relate to the game with which they are paired. When we got some review keys for FORCED (for which Gregg recently wrote impressions), I didn’t want to turn down free gaming with the Tap crew, but I didn’t expect a lot more than a Torchlight clone. But what I got is one of my favorite multiplayer experiences this year – probably my favorite, full stop. Casual RP elements, the ability to play with a lot of different builds, and truly designed, challenging battles and puzzles instead of roaming mobs are just the tip of the FORCED iceberg. I usually tire of ARPGs quickly, but I still play FORCED, and I’m constantly impressed by it. Starbreeze Studios’s XBLA release (followed a month later by Steam, where I played it, and PSN) is a clever twin-stick adventure that will hurt your brain at first: not because the puzzles are hard, but because the game requires you to move the titular brothers independently of each other, but simultaneously, with a separate control stick guiding each brother. The respective triggers make each brother interact with things contextually. It’s a simple control scheme, but it really works. The pair – one older and one younger – go on a fairy tale adventure to help their ailing father. It’s touching and simple in a way that brings to mind games like ICO, but there’s also a surprisingly dark undercurrent to it. Their adventure is captivating and beautiful and hazardous, and despite the characters speaking in gibberish – perhaps BECAUSE they speak in gibberish, instead of actual dialogue – their relationships, their trials and tribulations are all terrifically clear and hit you at the core. Runner-Up – The Legend of Zelda: A Link Between Worlds: After the last few Zelda games – Spirit Tracks and Skyward Sword, especially, but even before that – the series was really starting to feel like it was in a bit of a rut. So even the promise of returning to A Link to the Past‘s Hyrule was almost not enough to coax me back for this latest outing. But the end result is one of the freshest Zelda games in years, despite being in many ways a back to basics approach. AJ mentioned Papers, Please as a runner-up. I’m giving it full-on credit here. This is a game that on paper (heh) should not be fun at all. But it is. Fun and engaging. What looks like bureaucratic drudgery quickly becomes a tense and difficult puzzle of sorts. As a customs officer on the border of fictional Soviet bloc-like country Arstotzka, it is your job to allow those with the proper documents in, and turn away everyone else. Each day you receive a paycheck based on how many people you handled correctly, and that paycheck goes to supporting your family, paying your rent, and purchasing upgrades to your customs station. To complicate things, however, Arstotzka is in the midst of upheaval, and every day more and more documents are added to those required for entry. There’s more to check, to track, to correlate. Worse (well, better for you, from a player standpoint), people are constantly asking you to bend the rules for them, from families who don’t want to be split up because some have good documents and others don’t, to the resistance group working to overthrow the Arstotzkan government. 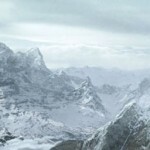 Your choices shape the ending of the game – there are twenty – including such bad endings as getting caught and executed for working with the rebels. Papers, Please is a great title with a compelling mix of casual gameplay and the interactive narrative hallmarks of a bigger title. Runner-Up – Metal Gear Rising: Revengeance: I’m an unrepentant Metal Gear fan. I’ll sit through your twelve hours of cutscenes if they’re gloriously overwritten, involve animal-themed characters, philosophize about the battlefield, and tie several previous games together in ways that seem at once implausible and perfect. Rising is the first post-MGS4 title in the series (excluding the PSP prequel, Peace Walker), and a spin-off that once more puts the once-loathed Raiden in the hotseat. Now he’s a badass cyborg though. So there’s that. The leap to a hack-and-slash action title could have gone terribly, but instead, Revengeance delivers Metal Gear flavored storytelling with wholly different game mechanics that show competence and, while somewhat obtuse at times, leave room for gradual mastery rather than giving you everything up front. This game really made me think about how much tutorials can be overdone sometimes. Also, there’s cool music during the huge boss fights. And the final boss is just nuts. Like…jaw-droppingly nuts. I really like this game. Though this year was not the first time the “strong women in video games” conversation came up, it seemed to be on the tip of everyone’s tongue. 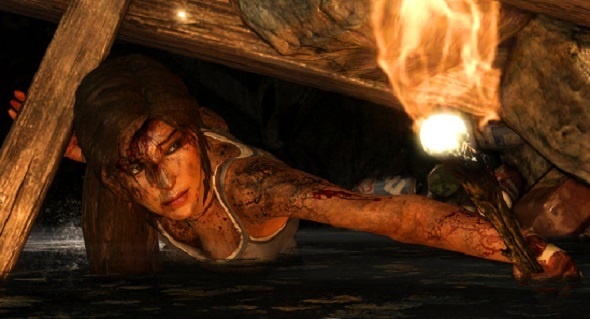 Tomb Raider was frequently billed as changing Lara Croft from primarily a sexual icon into a real character, a survivor, someone who can handle herself. 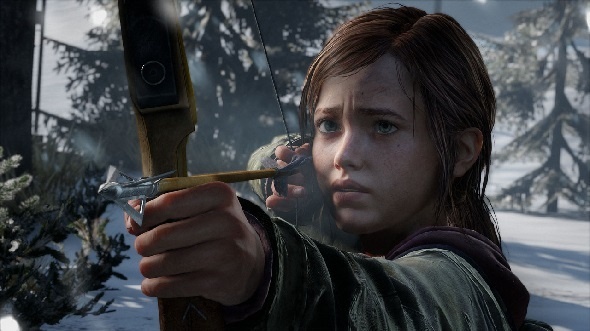 The Last of Us‘s Ellie was praised for how great a female character she was. But both of these characters, in the games themselves, were defined somewhat by a singular right of passage: that of picking up a bow (women’s weapon of choice, of course) and getting good at killing people. There’s definitely nothing wrong with a woman who can handle herself in a fight, and these games do try to justify this shift. Basically, for a game heroine to be acknowledged as “strong”, she has to get good and killing a bunch of dudes, and then everyone pats themselves on the back for a job well done. To be sure, video game characters in general have this issue, where too often the strength of a character is boiled down to how badass they are, but this year that discussion was firmly fixed on the year’s heroines in particular. Two of the year’s widely agreed-upon GOTY contenders, Bioshock Infinite and The Last of Us, were praised for a variety of things, but first and foremost people mentioned the writing. 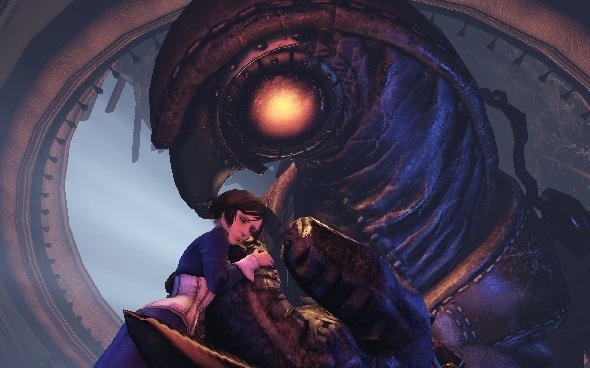 Whether it was the socially-charged, big idea-laden Bioshock Infinite or the emotionally intense, character-driven The Last of Us, for the first time in a while everyone was talking about the narrative experience of games without branching narratives and big decision points. Though games like The Walking Dead and Mass Effect experiment with what interactive narrative can be, I’ll admit to a bit of relief that, once again, players will still appreciate a well-written narrative experience from a AAA developer without getting hung up on the linearity. A creatively healthy medium ought to be able to entertain both styles. So there you have it, the definitive list of the important games of 2013. I think we can all agree we can close the book on that year, now, right? Complain to the author about snubbing Bioshock Infinite at dix@tap-repeatedly.com! Great list, Dix. It irks me that “linear” is so often used as a pejorative term when applied to a game. I agree with your sentiment that it’s nice to see developers have confidence in their own ability to tell a story which requires not a player’s input, only their cooperation. This rings especially true for the divisive ending of TLoU; the story and character arcs would have been diminished for me if choice suddenly popped up in the end. 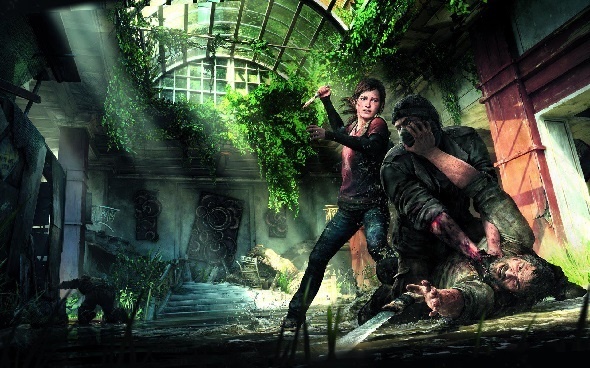 Re: heroines, I am incredibly curious/anxious to see what Naughty Dog do with this upcoming Ellie-centric DLC since it is obvious that, given the timeline, she will not be a people-killing expert, nor would her friend (I assume). If ND can somehow create a worthy experience to parallel some themes of TLoU while also making it mostly (or completely?!) non-violent, I think accolades will be in order. My expectations may be too high, but then again, The Last of Us was pretty damn incredible. Gone Home and Tomb Raider are both games I own and mean to play very soon. Without having played Gone Home, I’ve read enough to understand what it’s about/what it does, and I hope it’s a type of game we see more of in the future – a quiet, reflective environmental experience; it sounds excellent and I’m quite excited to finally dig into it! I’m also really eager to see how The Walking Dead develops in this round of episodes. There aren’t many games out there that target a mature audience and then put them in the role of a ten year old girl. Although the game mechanics are fundamentally the same as in Season 1, the characters approach Clementine differently than they did Lee, and of course she’s less able to fight her way out of tough spots. Yet she’s become remarkably self-sufficient in the space between seasons. Fantastic selection, Dix. You and I both lean more toward the AAA side and we’ve both been thrown a bit by the mediocrity it’s shown this year. Meanwhile independent work is getting not just more nuanced and complex, but more high-production as well. It’s getting harder and harder to tell an indie from a AAA game. That’s heavily impacted my gaming in 2013 as well. 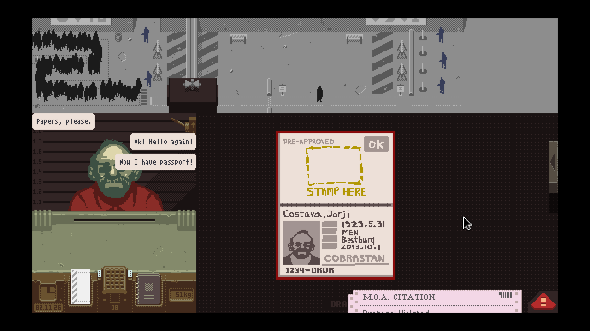 Papers, Please is one I’ve not checked out despite many recommendations from all sides. I’ve been meaning to, but never gotten to it, and that’s something I need to rectify. Too much good has been said for me to miss it. This article made me realize that I had forgotten to finish up Gone Home, which I now have. Not to be too hard on the game, since I think they did what they set out to do, but my main reaction at the end was “That’s it?” I never quite understood how the haunted house theme fit in. In fact, I kept forgetting that it was even part of the setup. All told, I was pretty lukewarm on the whole thing. I don’t grasp the hostility to linear games either. To me it’s synonymous with “focused”, while when I see the term “open world”, my mind immediately registers “unfocused”. OK, that’s enough quotation marks for one reply I think. @Botch: I don’t think the haunted house aspect was so much a “theme” as a “misdirect.” Part of the narrative style of the game is meant to lead you to assume something about where the story’s going (or, rather, has gone) and then to take it elsewhere later. So it keeps you guessing in that regard, I suppose. It definitely adds a layer of tension to the game, early on, because it makes you think there might be a jump scare around every corner. Even once you realize that it’s not that kind of game, it still puts death and tragedy in your mind – which functions for the main story. Of course, as a way to give the house character, it also works. It is a difficult thing to give character to a place. The Greenbriar house, like most homes, is given character by the people who live in it. But that’s not apparent when you first walk in the door. That takes time to build. The haunted house trope gives a quick (intentionally misleading) impression, and makes you see the environment as ominous and creepy when you might not have otherwise. You could argue that the house has a sort of narrative arc throughout; through the lives of the Greenbriars, it’s almost like it is redeemed. As for the end: I can totally understand it not being what you’d hope for. I might also posit that you may have missed a diary entry or something. I know it’s possible not to find all of them (I haven’t checked to see that I did, actually) and if you miss certain ones that conclusion can seem…less. @Dix: I see your points about the haunted house misdirection. Looking back now I can see how it colored the initial experience for me even though I wasn’t consciously aware of it. 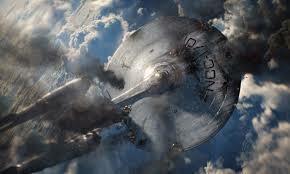 Ultimately though, the story just didn’t resonate with me. I have twenty-two journal entries – I’m not sure how to determine if I’ve missed something. There are apparently twenty-four – but one’s an Easter Egg more than anything. I know there are definitely certain journals (like the last couple) that could make a big difference if you missed them. Anyway, probably not the cause here. Great list Dix and nice to see FORCED sneak in there! I did wonder whether it would make anyone else’s list. I’m usually the first to grumble about linearity but I just couldn’t with The Last of Us because it was too well done to imagine it being done in any other way. Yeah, I grumbled early on with the linear intro sequence and later when you have to shoot that guy who’s been trapped under some rubble in an area filled with spores (actually, do you have to kill him?) Anyway, it would be like me moaning about Immortal Defense. As I said in my own list, I liked that The Last of Us just got on with being linear and telling its story without trying to acknowledge it or show how outwardly self-aware it was. Bioshock Infinite did this with a few of its meaningless ‘gotcha!’ choices and by the end I was just like, ‘Oh sod off, you did this in the first Bioshock and even System Shock 2.’ Don’t get me wrong, I enjoyed trying to understand Infinite’s plot and found it incredibly compelling, and in the right circumstances the gunplay and vigors were great chaotic fun, but it all just felt a bit messy and uneven — particularly for a linear game — unlike The Last of Us which, as Botch said, was super focused.